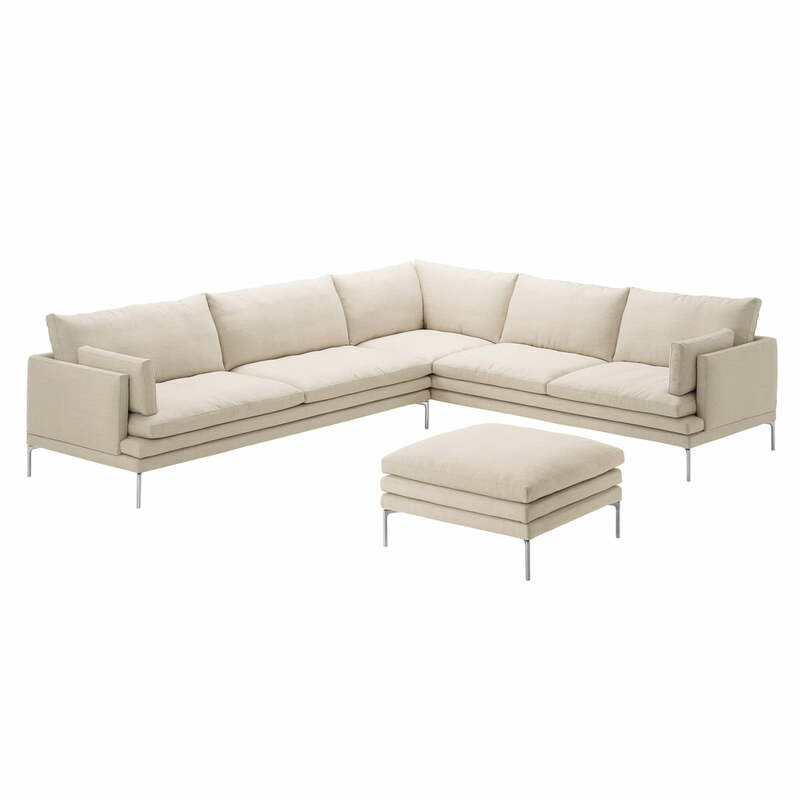 Simple, clear and inviting: The William Sofa by Zanotta invites you to fall on the cushions and forget the stress. Straight lines meet comfort in here. 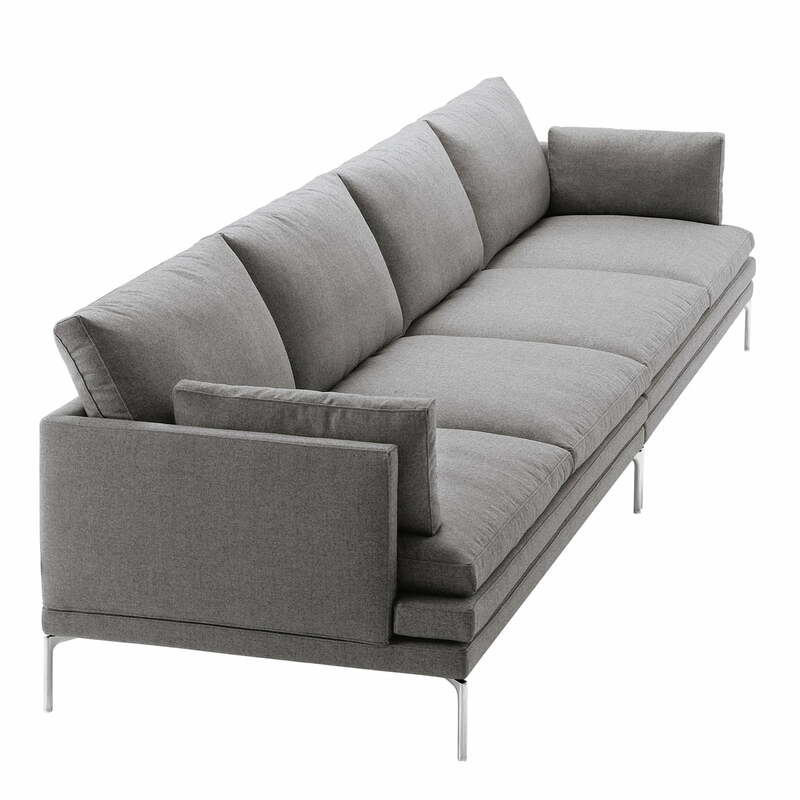 The design of the William sofa comes from Damian Williamson, who gave his name to the piece of furniture. The design of the seat appears in layers, which already looks inviting and comfortable, emphasizing the contrastive character. 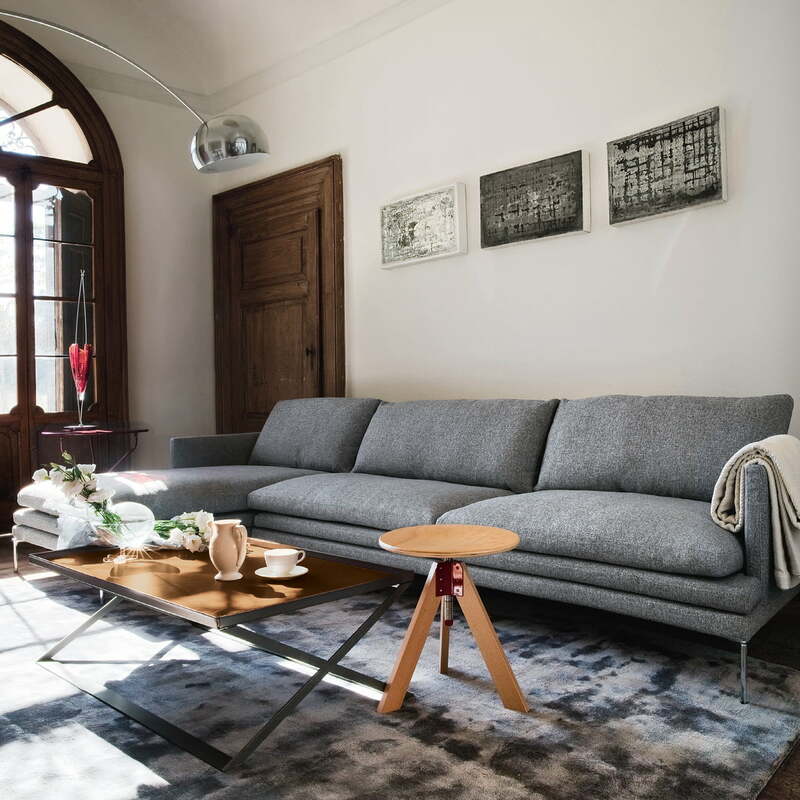 The Zanotta William sofa stands on polished steel legs, which absorb the design of the seat because of the clear design of them. The backside cushions and seat cushions of the Zanotta William sofa are filled with goose quill, while the armrests and backrests are made of polyurethane foam for more stability of the body sitting on the sofa. 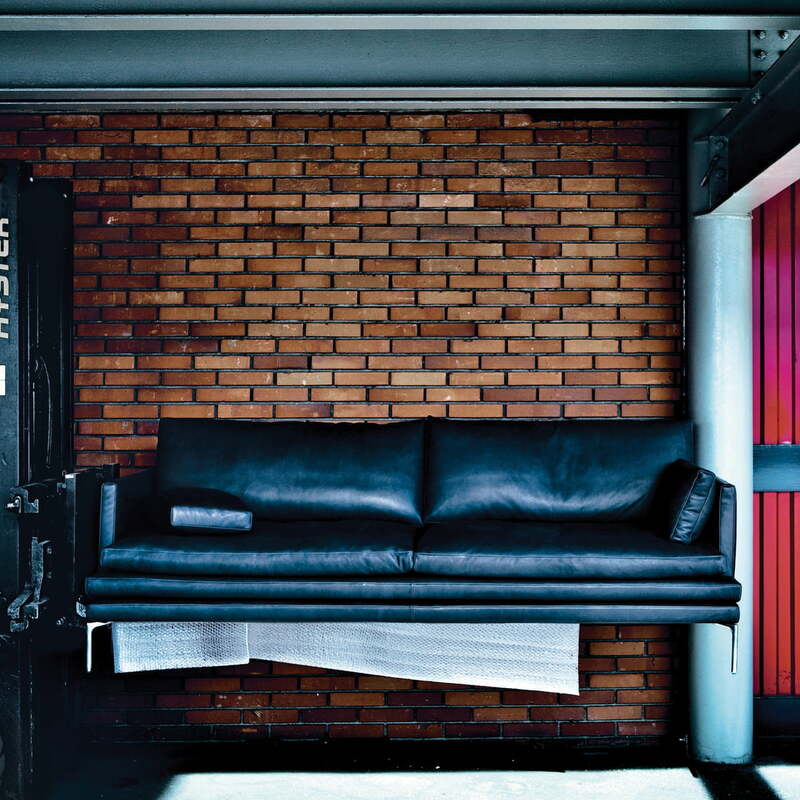 A steel frame with elastic bands hides under the cushions, completing the comfort. 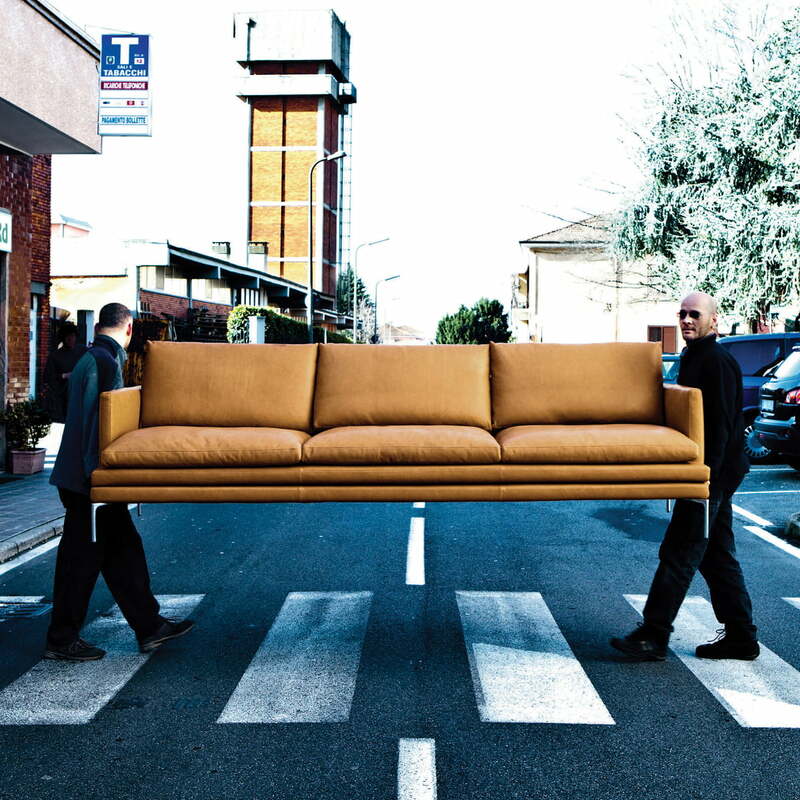 The fabric of the William sofa can be completely removed to clean it easily. 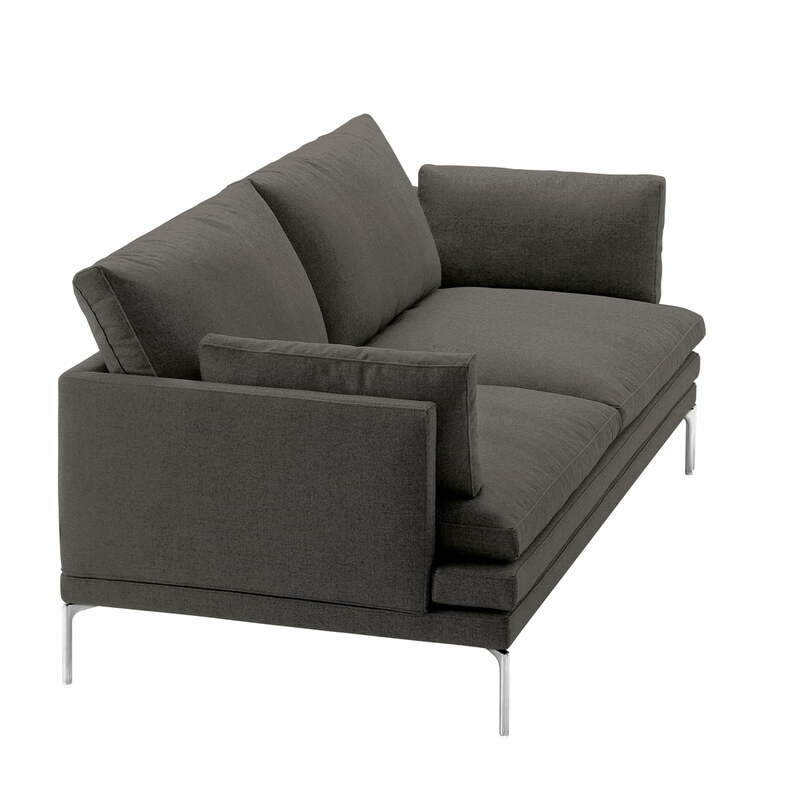 The Zanotta William sofa is also available as armchair. 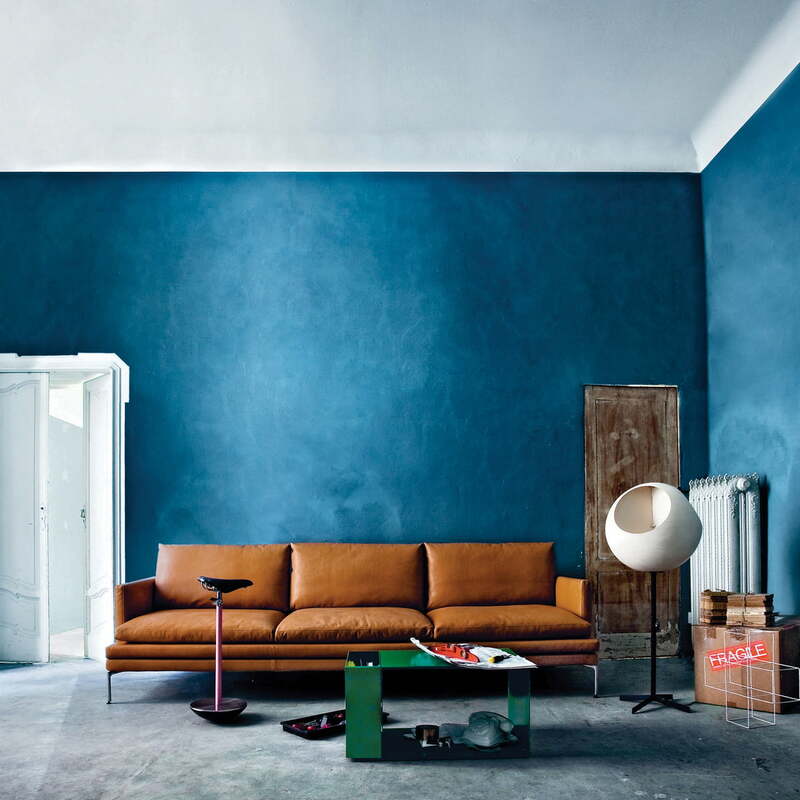 The comfortable couch can be coated with different fabrics in all the colours of the Zanotta assortment or with leather covers. A suitable pouf is also available.